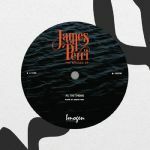 Review: Imogen have stumbled across a rare gem here, presenting some previously unheard liquid funk jams from the lesser known Chicago pioneer James Perri. Some of his jams as Jimi Polo are perennial classics, while his time spent in Soul II Soul and elsewhere are testament to his gifts, but this particular set of recordings from the 90s have lain in wait for their time to shine. You can hear his skills as a session musician and arranger coming through in abundance on this warm, grooving, acid jazz inflected EP. "70s Theme" is a sparse, moody jazz funk cut, while "Brother Beware" is a smooth, sultry slice of message soul. "Express Yourself" is the truly uplifting slice of the pie, and it will chime just fine with any lovers of that classic Soul II Soul sound. 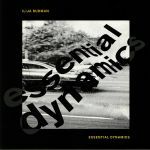 Review: Ilija Rudman is back on his own Imogen label with some gorgeous acidic deep house in the shape of "Essential Dynamics". It's got the perfect balance of emotion and mystery, human warmth and electro soul. Ashley Beedle dives in with the "Afrikanz On Marz Remix", bringing his illustrious soul and funk flourishes to bear on the jam. Fred Everything's take on the track is snug and undulating, anchored by a buttery bassline and rolling at a woozy tempo without losing its party credentials. Kai Alce delivers the remix of the release though, dropping his delicate but eminently funky touch on the track like only he can. 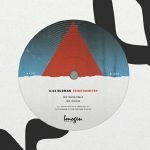 Review: Ilija Rudman struts out once again on his own turf with this latest slab of sizzling discoid delectability, shaping out all manner of warm and fuzzy grooves across varying tempos and intensities. "Metronomia" is a laid back workout, but it's the bombastic funk of "So Much" that steals the show on the A-side with its crafty construction and killer bass hooks. 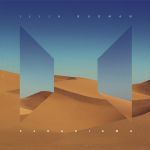 "Hibiscus Theatre" meanwhile ploughs deeper into the soil with its swirling pads and shimmering percussion lines, and then "If You Change Your Mind" rounds the EP off with some exemplary deep house for the more reflective souls to get down to. Review: Ilija Rudman is certainly a prolific artist, regularly appearing on labels like Is It Balearic? and running his own Imogen label to ensure he's always got an outlet for the classically informed grooves he does so well. Paradigma is his third studio album, and it finds the Croatian producer exploring all manner of moods both day time and nocturnal. At one moment you might be wistfully cruising down the sultry boulevards of "Temptations Trial", only to cosy up with the comely tones of "Creamfields" or the vibrant chords of "Elastica". By and large it's a downtempo affair for private reflection, steeped in 80s glamour and produced with a crystalline perfection to add that all-important glint to your life.